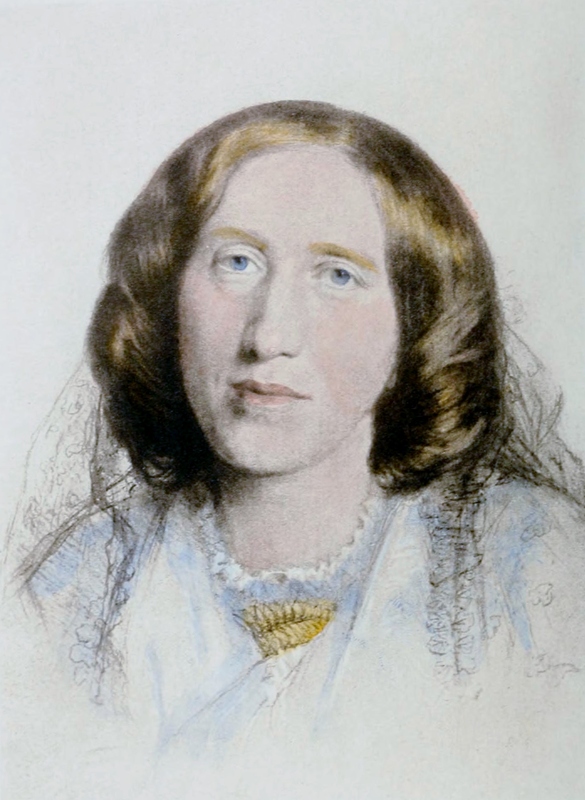 The full text of George Eliot’s first novel, THE LIFTED VEIL. Since Buzzfeed has decided to republish Middlemarch (it is, after all, in the public domain), we have decided to republish George Eliot’s novella, The Lifted Veil, which we obtained through Project Gutenberg. Please note that this eBook is for the use of anyone anywhere at no cost and with almost no restrictions whatsoever. You may copy it, give it away or re-use it under the terms of the Project Gutenberg License included with this eBook or online at www.gutenberg.net. and everything that will happen in my last moments. and pull it violently, before the sense of suffocation will come. on a bench: she never answers the bell; it does not wake her. air—will darkness close over them for ever? the darkness, but always with a sense of moving onward . . .
then you may find extenuation for errors, and may consent to bury them. it would obtain from my friends while I was living. was not fit to encounter the rough experience of a public school. pushed me a little way from him, and stared at me with glittering spectacles. he added, touching the upper sides of my head, “here is the excess. to buy and cheapen it. were good reasons for what was so very beautiful. shed on me since my mother’s love had vanished out of my life. of fire were passing over them on its way to the home of light. a youth whose intellectual tendencies were the very reverse of my own. one, for he was of English extraction—having since become celebrated. the medical studies for which he had a special genius. Strange! with the notes of birds and the distant glitter of the glacier. scene which I shall have to narrate in my subsequent life. me; I would take it presently. a star—of a strange city, quite unfamiliar to my imagination? of imperial grandeur and religious wars. of the landscape as the sun lifts up the veil of the morning mist. sensibility, now manifesting itself suddenly as spontaneous creation? to me that I might perhaps test it by an exertion of my will. The vision had begun when my father was speaking of our going to Prague. discouraged; but I remembered that inspiration was fitful. which would send a reawakening vibration through my slumbering genius. that could detain my father. and I felt a painful sensation as if a sharp wind were cutting me. the daughter of an aged river. new power had manifested itself again . . . But was it a power? like one trying to free himself from nightmare, and rang it twice. Pierre came with a look of alarm in his face. “Monsieur ne se trouve pas bien?” he said anxiously. and I felt the better for this scene of simple, waking prose. it by slow details of labour, and by no strange sudden madness. and the keen eyes fixed on me in half-smiling curiosity. lying with my head low on the sofa, Pierre, and my father by my side. “I’ve been to tell the ladies how you are, Latimer. my father, who would have suspected my sanity ever after. I do not mean to dwell with particularity on the details of my experience. clearly traceable results in my after-lot. like leaflets covering a fermenting heap. bonne et brave femme, heavy-heeled and freckled. way in which she patted my curls, while she laughed at my quotations. to stimulate my foolish timid hope that she really preferred me. be of age to decide for herself. deliberate act of hers which especially helped to intoxicate me. afresh with the thought of this scene and all it implied. utter—a clever observation, which he had prepared beforehand. a rudeness, to be forgiven me on the score of my feeble nervous condition. of Prague would prove to have been an instance of the same kind. affect me so strongly that one or two exhaust all my capability of contemplation. a bet which had arisen between my brother and Mr. Filmore about a portrait. you kill yourself, then?” It was a moment of hell. green serpent with the diamond eyes remaining a dark image on the retina. steps of the Belvedere Terrace, and my friends were round me. made me ill for several days, and prolonged our stay at Vienna. the next city on our route. the heart of Bertha, the matured woman—Bertha, my wife? dislike and jealousy towards my brother. was grasped by the living and the loved. held out by the chill hand of death. without seeing more than the streets through which we had already passed. only form in which a fearful spirit knows the solace of hope. to a more shrivelled death-in-life than their own. stifled under the grasp of hard-clutching fingers. behave insolently to us all on the strength of his great advantages. “Bertha, shall you love me when we are first married? from me, recalled me to a sense of my strange, my criminal indiscretion. a man dashing off at full speed from the stable-yard across the park. was soon at the house. I will not dwell on the scene I found there. on the spot by a concussion of the brain. soon—would probably have stood for the borough at the next election. for making new purchases of land every year to round off the estate. favoured place, who will not understand what I mean. brother’s place as fully as my feebler personality would admit. his son and daughter-in-law should make one household with him. power: no matter how empty the adytum, so that the veil be thick enough. the beating of our heart, or the irritability of our muscles. of my nature, welled out in this one narrow channel. ease, unless I was near her, submitting to her playful tyranny. on our account, will serve us as hashish for a long while. possessed at least all but the personal part of my brother’s advantages? of colour that we know to be made up of tinsel, broken glass, and rags. I was only twenty-one, and madly in love with her. Poor father! leaving their feelings and sentiments to be inferred. it was a pity I made so poor a figure as an heir and a bridegroom. of intoxicated callousness which came from the delights of a first passion. more beautiful from the impending night. each other. It was the evening of father’s death. possibility of mystery, and doubt, and expectation—was first withdrawn. In that state of mind I joined Bertha in her private sitting-room. giving pain only for the sake of wreaking itself. For Bertha too, after her kind, felt the bitterness of disillusion. value those who pass current at a high rate. spent itself, and impulse no longer predominated over knowledge. separation, which would have made our alienation evident to the world. a growth of hatred and sin, may be compressed into a sentence! And men judge of each other’s lives through this summary medium. over the temptations they define in well-selected predicates. and heart throbbings, of dread and vain wrestling, of remorse and despair. the door, with a candle in her hand, and advanced towards me. on me, and the glittering serpent, like a familiar demon, on her breast? at length her thoughts reverted to her errand, and she spoke aloud. anticlimax to my prevision and my agitation. public-house and farm at Molton. I wish him to have it. and Bertha swept out of the library again. to the objects that suggested them. forward in my mental condition, and was growing more and more marked. have since found rightly—to be a provision of external scenes. Things were in this state near the end of the seventh year. that she lived in a state of expectation or hopeful suspense. Bertha was living—was surrounded with possibilities of misery. would be to me like a transient resurrection into a happier pre-existence. admiration, for his manner towards her was attentive and flattering. perform the gesture we feel to be wanting in another. agitations, and did even her hate in a self-restrained hygienic manner. This event was the sudden severe illness of her maid, Mrs. Archer. may be startling. You and I will sit up together, and be in readiness. We prepared everything, and he instructed me in my part as assistant. merely to save her nerves. She refused to leave the sick-room. and the eyelids were lowered so as to conceal the large dark eyes. and it seemed as if the eyes were looking towards Bertha, but blankly. out, and we all felt that the dark veil had completely fallen. could remain sealed for me. his arm to Bertha, and she submitted to be led out of the room. the room, and dismissed the younger one who had been present before. closed against all sounds or sights which had no relation to it. was a movement of the lips. fear had arisen in her mind, for she entered with a look of alarm. She came to the foot of the bed and gave a stifled cry. The lips continued to murmur, but the sounds were no longer distinct. for ever. Great God! Is this what it is to live again . life for that moment ceased to be a scientific problem to him. pain recurring with new circumstances. his lips were sealed by a promise to me. narrow thoughts, their feeble regard, their half-wearied pity. my dying struggle has opened upon me . . .
© 2013, George Eliot. All rights reserved.